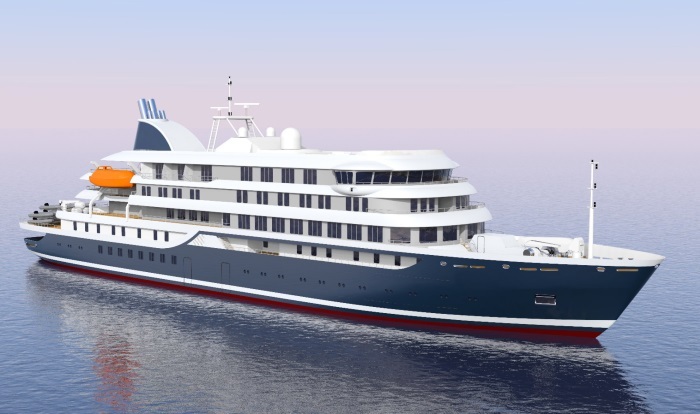 Croatian shipbuilder, Brodosplit, has announced winning a contract to construct a new 196-passenger polar class expedition vessel for an as yet unnamed client simply described as a "leading company for commercial tourism in the polar regions". EC believes this client is established Dutch company, Oceanwide Expeditions. The company have been contacted for comment. Due for delivery in 2019, the innovative vessel will be built to class LR PC6 (Polar Class 6), apparently the first cruise ship in the world to be built to this specification. 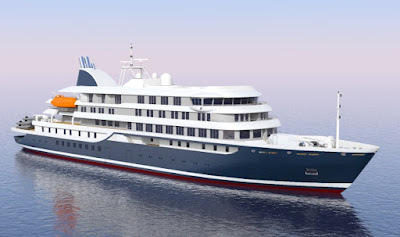 It will comprise eight decks and 95 cabins, with 69 crew. Length will be 107.6m. (compare NG Orion at 103m) It will be driven by two engines with a total output of 4200kW and a speed of 15 knots. The company recently delivered the small ship Arathusa to Grand Circle Cruise Line for operations in the Mediterranean and is currently constructing the world's largest sailing ship for Star Clippers.